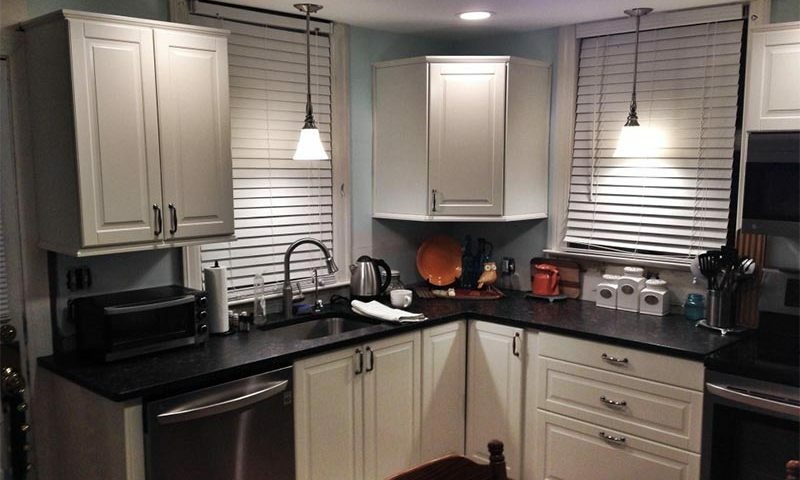 AJP Electric LLC are your local remodeling electricians serving the Ashford CT area. We are always happy to receive testimonials from happy customers. When you are renovating your home, you must have a licensed electrician inspect the wiring and service. 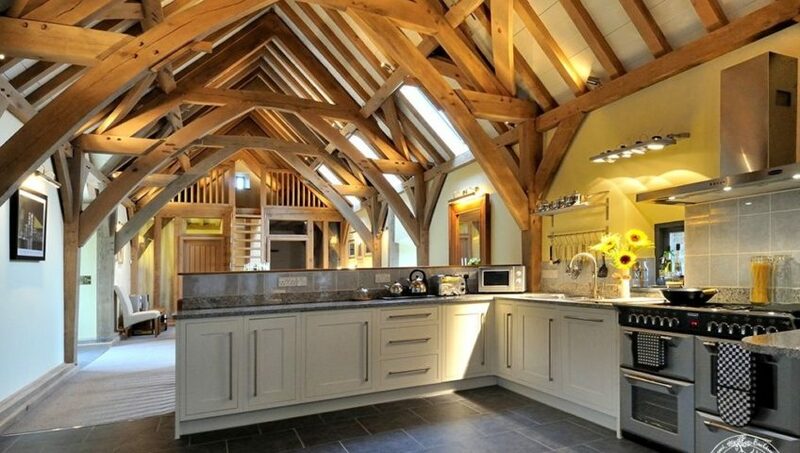 The kitchen and bathroom are two of the most heavily used rooms in your home. In particular there is a heavy demand from appliances and outlets are near sinks. Adding Ground Control Fault Interrupters where appropriate protects you from unfortunate electrical accidents. For room renovations to additions, we look forward to safely wiring your home improvement project. As a reputable electrical contractor, we carry business insurance and are licensed. We have earned a Better Business Bureau rating of A+ as an accredited business, with thirty “5-star” customer reviews. AJP Electric LLC is open 6 days a week from 7 am to 7 pm for your convenience, with emergency service available. Call when you have a question about an electrical issue and ask for a free quote: 860-875-7755. When you are looking for licensed electricians serving the Mansfield CT area, choose AJP Electric LLC. AJP Electric is a locally owned, family operated company with roots in the area. Whether you need full service electrical upgrades or custom lighting installation, give us a call. We accommodate residential clients, commercial and municipal clientele in our Tolland County service area. We will wire new buildings, rewire old buildings, add electrical outlets, upgrade your electrical panel, or run an electrical line to your swimming pool or spa. We respect the fact that during an outage, losing your electrical power, your lights, security alarms, heating, cooling and well water supply may put you or your business at risk. When there is an electrical emergency, you can always give AJP Electric LLC a call. When your new appliances just aren’t receiving the power they need to operate efficiently, you will want to call AJP Electric to test your wiring. Your home’s electrical safety is important to us. We have 15 years of experience in on-site electrical troubleshooting and maintenance. AJP Electric eliminates surprise costs. We will review your needs carefully and provide you with a free quote. Call AJP Electric at 860-875-7755. In Mansfield CT and surrounding areas, call upon AJP Electric, LLC for your electric fireplace installation. Electric fireplaces are becoming popular among condo and apartment owners, as they offer a clean and attractive heat source. You can enjoy the warmth and beauty of a fireplace in your house or apartment year round. These units are not only a nice way to change the personality of your livingroom or den, they look amazing in a bedroom. With an electric unit you gain convenience and beauty without the cleaning, maintenance, and fuel costs of traditional fireplaces. From an electrician’s perspective, begin your search for units that are UL Certified and/or CSA Certified. You want to purchase a brand that has been inspected under strict quality control guidelines. Installation of an electric fireplace is something you ought to call a licensed electrician for. You will not need a permit to install an electric fireplace heater. Look for features such as safety shut-off, automatic shut-off timer, and a temperature limiter. It is important to observe basic safety precautions when using an electric fireplace. Electric fireplace heaters should never be connected using extension cords. They should be plugged directly to a wall outlet or hardwired into your home’s electrical system. There are so many very attractive models available that will improve the look and character of your living space even when not in use. They can be hung or set into a wall or enclosed in a cabinet. They use about as much energy as a simple space heater. There are absolutely no carbon emissions, no fuel is consumed, no venting is required, and there is no messy ash to clean up. Call AJP Electric LLC at 860-875-7755 with any questions you may have today. For supplemental heat in your Ashford CT home or office, ask about electric baseboard heater installation. There may be areas in your home that need occasional supplemental heating. A basement office, an enclosed porch, a guest bedroom, or a loft may not benefit from your regular zoned heating. If you have pets or small children, you will want a safe, clean heater that does not take up space in the middle of a room. From the perspective of a licensed electrician, AJP Electric LLC strongly suggests you consult a licensed electrical contractor for the job. You may have to run a separate circuit for any electric heaters you want to install. Whether you mount electric heaters in walls or along the baseboard, installing a heater on a separate electrical circuit is safer than plugging one into a wall socket. AJP Electric will run a new, safe 240-volt circuit and install a programmable thermostat. Most homes have sufficient capacity for the new circuit in your electric panel, however if your home does not we can upgrade your electrical panel as well. For any large or small electrical jobs you need done, such as new or upgraded lighting or ceiling fan installation, give AJP Electric LLC a call. Our motto “No job too small” reinforces our desire to take on those small projects that other companies may not want to do. Many of my clients are very happy to find an electrician they are comfortable with. Rather than attempt a project on your own or put up without service at all, give me a call. I hope to be your first choice for years to come. When you hire AJP Electrical, you will receive quality electrical service from a locally owned and family operated business with over 15 years of experience in on-site electrical troubleshooting, installation and maintenance. We are a Better Business Bureau Accredited Business with an A+ rating. Please call 1-860-875-7755 for a consultation today. When you are in need of a reliable electrical contractor serving Ashford CT, call AJP Electric LLC. Whether your needs are residential or commercial, a large job or a small project, AJP Electric is the company for the job. We will wire a new property, rewire an old home, upgrade your service, add outlets, improve your lighting, and much more. Whenever you add electric appliances or computers, renovate or add a room, or install heating and cooling equipment, you need a licensed electrician. We are fully qualified to improve your wiring or service in any capacity. 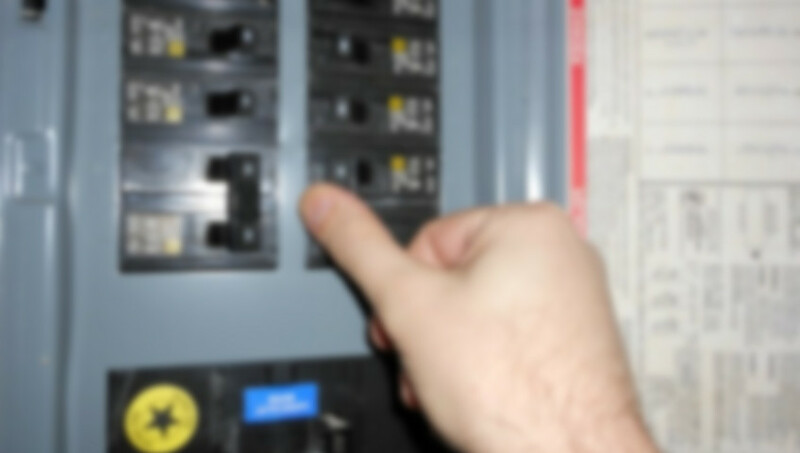 We will upgrade your electrical panel, and make certain your wiring is safe throughout your home. Naturally, when you are adding to your living space or upgrading an enclosed porch, you will want to add adequate wiring, outlets, and provide for heating and cooling appliances. AJP Electric is a family owned and operated company, and we strive to provide high quality electrical services to our clients. We will work within your budget and provide a free quote when you request our services. When you hire AJP electrical contractors, you will receive quality electrical service from licensed contractors. We are proud of our personable customer service and reliability. We have over 15 years of experience in on-site electrical troubleshooting and maintenance. We have earned a Better Business Bureau rating of A+ as an accredited business, with twenty-eight “5-star” customer reviews. AJP Electric LLC is open 6 days a week from 7 am to 7 pm for your convenience, with emergency service available. Call when you have a question about an electrical issue and ask for a free quote: 860-875-7755. As a leading electrical contractor serving the Mansfield CT area, AJP Electric can handle all your wiring needs. We are a locally owned company with over 15 years of experience in Tolland County. For electrical upgrades, rewiring, or new wiring, AJP Electric does it all. When adding new rooms or appliances to your space, consult a licensed electrical contractor about your job’s requirements. A licensed electrician safely installs new outlets, heating and cooling units, indoor and outdoor lighting, and circuits dedicated to computers and servers. A licensed electrical contractor will add wiring and outlets and will provide circuits for heating and cooling appliances. AJP Electric provides expert electrical services for your home or your business. We can easily wire for new construction or upgrade the wiring and panel in an older building. When you hire AJP electrical contractors, you will receive quality electrical service from licensed contractors. We are experienced in on-site electrical troubleshooting and maintenance. We are a Better Business Bureau accredited business, with 33 “5-star” customer reviews. AJP Electric LLC is open 6 days a week from 7 am to 7 pm. We help our customers save money on their energy bills using sensible solutions. Call and ask for a free quote: 860-875-7755. AJP Electric LLC is the contractor of note in Tolland County for your Mansfield electrical renovation project. When renovating older homes, do not forget your electrical system. As licensed electrical technicians, we are experienced in all aspects of installations and electrical wiring. 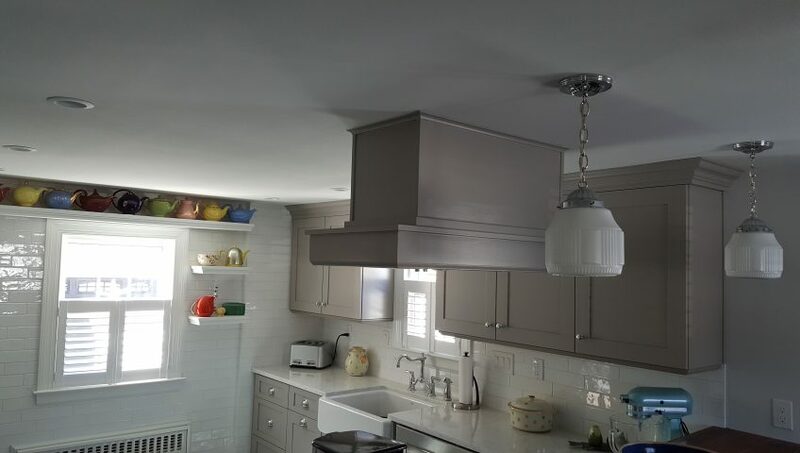 From a basement finishing project, a kitchen and bathroom renovation, a room addition, or a complete interior and exterior lighting refit, count on AJP Electric to complete the work to the highest standards of workmanship. Old electrical wiring can be a safety hazard. In the era of the smart appliance, just replacing your television and kitchen range may tax your electrical service. Old wiring is more than an inconvenience, it is not safe. If you’ve ever lost power when running the microwave and the coffeemaker at the same time, you know what I mean. You might need to change ungrounded 2-prong outlets to 3-prong outlets, and rewire the house to get rid of old knob-and-tube wiring that can start a fire. Depending on your needs and the appliances you own, you may even need to upgrade modern wiring to support new appliances, computers, entertainment systems, and other projects.The older a home is and the more times it has changed hands increases the likelihood that changes will have deviated from original design of the house. It’s best to err on the side of caution when renovating older homes. Call AJP Electric at 1-860-875-7755 for a free consultation. We can tell you what to expect and give you a plan that is affordable and safe for you and your family. Create drama in your kitchen, bathroom, den, or living room with recessed LED lighting. When installed in combination with other varieties of lights, recessed lighting created interest, improves the mood, and brightens up problem areas in your home. AJP Electric LLC is your local licensed electrical contractor serving the Bolton CT area. We are a family owned and operated company, accredited by the Better Business Bureau. When you want to make a statement with lighting, consider having recessed lighting fixtures installed. Replacing an overhead fixture and table lamps with recessed lighting declutters your space. These lights are mounted into your ceiling and can provide both ambient and task lighting to just about any area in your home. Recessed LED downlights are fixtures that are out of sight until they are switched on. They are practical In older homes with low ceilings, over your fireplace mantle, in a dark corner, above your shower, in a hallway. These lights are available in many finishes and shapes. Your choice of bulbs include incandescent, fluorescent and LED. Fixtures that rotate, revolve and swivel are often used to light a gallery or artwork. Recessed lighting installation must adhere to code requirements depending upon the location they are installed. All recessed fixtures are to be installed based on the regulations of your local municipality. Over the years, these fixtures have undergone improvement to ensure their safety, efficiency and ease of installation. Proper installation is required to reduce their fire hazard but also to prevent the buildup of condensation, mold growth and to minimize drafts. Our motto at AJP Electric is ‘no job is too small’. 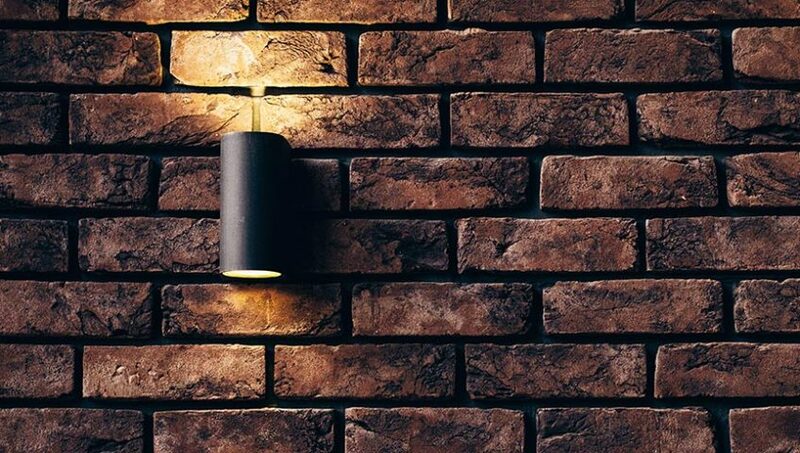 When you would like to have lighting installed in or around your home, please call us for a consultation. Call 1-800-875-7755 today. When your home or business offices need professional exhaust fan installation, call upon the services of AJP Electric, LLC. Exhaust fans provide healthy ventilation in key areas like your bathroom, kitchen, garage and basement. These rooms typically accumulate moisture from bathing, cooking, toxic fumes or other factors. 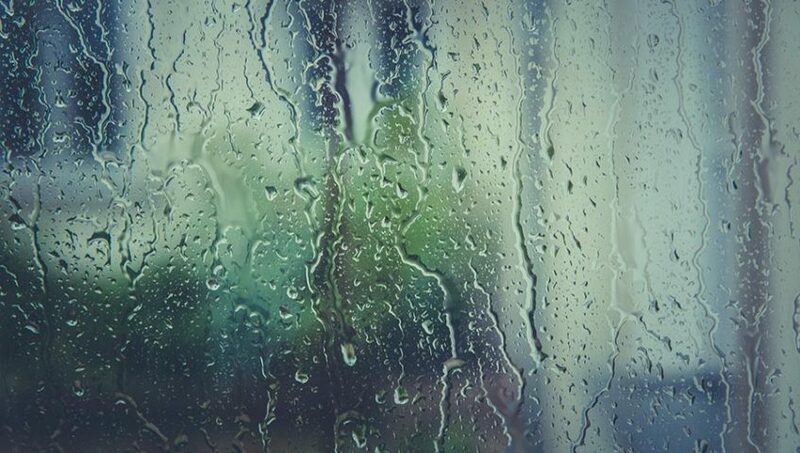 Odors, chemical fumes, mold spores, heat and excess humidity can be safely discharged to the outside of the building. Proper exhaust fan installation and correct venting ought to be done by a qualified electrical contractor. Professional installation assures your room will have the appropriate fan to perform the job. With AJP Electric, your ventilation issues can be solved by a reputable electrical contractor. We can do a new installation for you or upgrade to a combination fan/lighting fixture or fan/heating unit. Safe wiring and proper ventilation are guaranteed when you select AJP Electric for your installation. We are a family owned and operated local company. We are accredited by the better business bureau and enjoy an A+ rating. Electric fireplaces are gaining popularity as an attractive source of supplemental heat for your home. There are many attractive styles from which to choose, so finding a fireplace that complements your decor should not be a problem. Although we are not endorsing one particular brand over another, it is wise to shop for brands that are UL Certified and/or CSA Certified. You want to purchase a brand that has been inspected under strict quality control guidelines. Permits are not required to install electric fireplace heaters. Although it is safe to leave an electric fireplace insert on overnight, you probably will want to turn it off when possible. The top brands like Dimplex, Classic Flame and Real Flame are among those certified safe for consumers. Look for features such as safety shut-off, automatic shut-off timer, and a temperature limiter. It is important to observe basic safety precautions when using an electric fireplace. Electric fireplace heaters should never be connected using extension cords. They should be plugged directly to a wall outlet or hardwired into your home’s electrical system. A free standing electric fireplace heater has a few advantages over a natural wood burning fireplace, a coal burning unit, or natural gas. 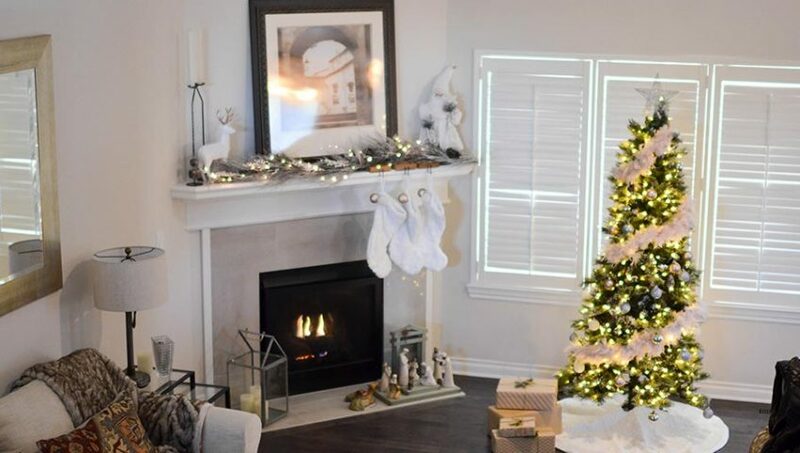 You can enjoy the warmth and beauty of a fireplace in your house or apartment without the hassles, cleaning, maintenance, and fuel costs of traditional fireplaces. As a decorative element, electric fireplace heaters can beautify your livingroom, three season room, den or bedroom. There are so many very attractive models available that will improve the ambience of your living space even when not in use. They use about as much energy as a simple space heater. An electric fireplace heater can be installed anywhere at little cost. There are absolutely no carbon emissions, no fuel is consumed, no venting is required, and there is no messy ash to clean up. Call AJP Electric LLC at 860-875-7755 with any questions you may have today.